Can a Protective Style Enhance Your Hair Growth? There are many factors that affect hair growth: stress, styling manipulation, certain medications, hormones, age, and vitamin deficiencies. When BlessingE inquired about hair growth and two-strand twists in our Curly Q&A , I knew this was a great opportunity to share more information about hair growth. Hello, does 2 strand twist grow hair, and what other protective styles enhance growth? God bless. Hair grows in a cycles predetermined by the body regardless of the hairstyle you wear. Hairstyles can affect the health of hair and can help or hurt one’s length retention, but hair will not grow faster from a particular hairstyle. Here are some factors that affect hair growth, and how styles impact it. According to the American Academy of Dermatology, hair begins from the root in the bottom of the hair follicle, which is fed by the blood vessels. The hair gets pushed through the scalp as the sebaceous glands add oil to help keep hair soft. We are born with all the follicles we will ever have, which is about 100,000 follicles. At the end of a hair’s life cycle, we lose about 50 to 100 hairs per day. The anagen phase is the active phase of hair that lasts about 3-5 years. The catagen phase is at the end of the anagen phases and lasts around ten days. The telogen phase is when the hair enters the resting phase before releasing. The follicle remains inactive for three months before starting over again and hairs on the head can be in any one of these phases, as they do not happen simultaneously. The length of the anagen phase of hair growth will affect hair growth, but there are external factors like diet, stress, mechanical and chemical manipulation, medications, and health. Some people have a shorter anagen phase than others, while others are longer. There is no changing that but keeping your body and hair healthy is allowing for optimal growth and retention. Also, know that some follicles stop growing as we age. That is why we see more thinning hair as we age. A healthy diet, low stress levels, and adequate sleep are all ways to positively affect hair growth. Many things like life stressors (e.g. death in the family, pregnancy, losing a job) are all instances we cannot control and will affect our entire body as a result. What also helps with hair growth is maintaining a healthy scalp and doing scalp massages. These styles help with length retention not hair growth. Protective styles are hairstyles that keep your ends (the weakest and oldest strands) away from manipulation and pollutants. 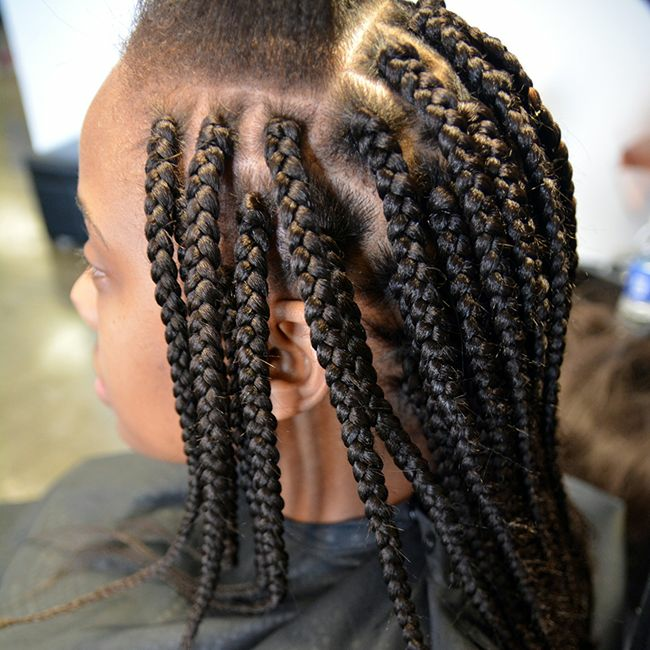 Popular protective styles include braids, two-strand twists, updos, and even wigs. These styles help with length retention not hair growth. Keeping hair healthy and protecting those ends are the best ways to stave off breakage. Maintaining your whole health as it relates to diet, exercise, drinking water and a healthy scalp are the best ways to optimize hair growth.